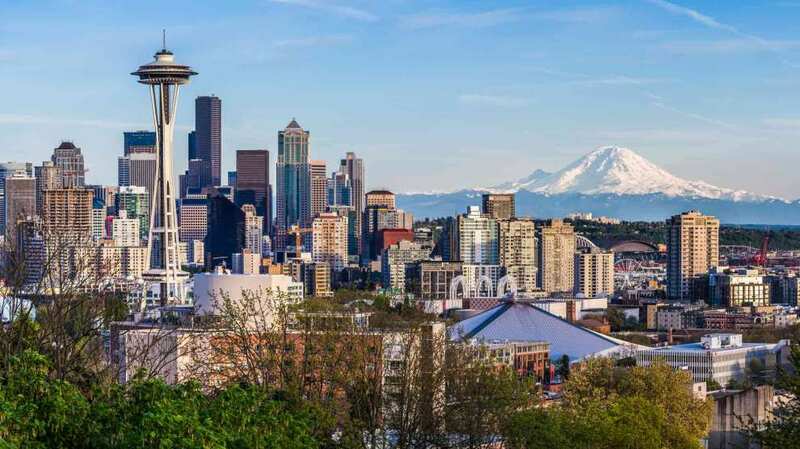 Seattle, a large seaport city located in King County has a population of 713,710 people. It is the largest city in Washington and has the fourth-largest port in North America. Seattle is known for its major logging industry but also for its commercial and shipbuilding center. As well as it’s musical history. Two dozen jazz nightclubs stretched along Jackson Street from 1918 to 1951 which set a pathway for great jazz artists like Ray Charles, Quincy Jones and Ernestine Anderson. Other great music artists were born out of Seattle also like rock musician Jimi Hendrix and many grunge bands like Alice in Chains, Foo Fighters, Pearl Jam and Nirvana. If you live in Seattle, and have fallen victim to substance abuse don’t hesitate to seek treatment. There are enormous resources in at your disposal. A famous tourist attraction to visit is the troll that lives under the bridge. Freemont Troll, also known as the troll under the bridge, is a public 18-foot sculpture created after the Fremont Arts Council launched a competition in 1990 with a goal to rehabilitate the area under the George Washington Memorial Bridge (aka, the Aurora Bridge). A commonplace for drug dealers to hang out in and a well-known dumping ground. The troll won the competition and was built within the same year. Art and music make up a huge part of Seattle but crime also seems to be an issue in the city. The city’s crime rate scores a 2 out of 100 with 100 being the safest. While big cities as a whole have a lot of crime due to the population being so large, Seattle’s drug problem appears to being add to it. Similar to other large American cities, Seattle is facing an opioid crisis, with heroin taking a number 1 spot in the popular drug choice. Methamphetamines and cocaine come in at second and third. In the United States, overdose deaths from opiates, methamphetamines and cocaine increased by 35 percent between May 2015 and May 2017. The spotlight has recently been cast on opioid abuse and addiction, but its important to recognize that other drugs are right up there with opioids. Last year, 300 people died via methamphetamine overdose while 700 died via opioid overdose in King County. Heroin, a potent and addictive opioid is easy to get on the streets and is fairly cheap at $5 a bag. This leads to a big reason for its popularity. Another reason it’s so popular is due to the euphoric state that it provides. However, in King County, 78 percent of heroin abusers admitted that they want to reduce or even stop their use. That number decreased to 47 percent when people were asked about their methamphetamine abuse. Methamphetamine, a white bitter-tasting powder or pill is commonly known on the street as ice, meth, crank, crystal, speed or chalk. The high that people get from the drug burns fast and many people end up repeating their dosage in what is known as a “binge and crash” pattern. One of the side effects of meth is the ability to stay awake, so many people choose to use it to do continuous activities without the hassle of feeling tired or falling asleep. In 2017, 98 deaths were tied to meth overdose in King County. Cocaine, an extremely addictive stimulant comes from a coca plant in South America. The drug looks like fine white powder and many drug dealers mix it with talcum powder, cornstarch or flour in order to increase their profits. Nicknames on the street include snow, rock, coke and blow. Since cocaine messes with the brain’s reward system, like opioids do, the drug is a popular choice for people who are looking to get high quickly and avoid their feelings. While these three drugs are huge problem in Seattle, opioids in general rank in with the highest drug statistics. In fact, 219 of 332 overdose deaths in King County in 2016 were due to opioid overdoses. Today, it is a leading cause in the county’s community. Sadly, many of those deaths are found among homeless people. In 2017, 169 (32 more than 2015) died and it is believed that they died by fatal overdoses from both drugs and alcohol. For fatal overdose of those who are homeless, one-third come from opioid use. However, meth is also a growing problem among Seattle’s homeless. The war on drugs is a powerful one and the population of the United States is feeling the damage that is being left behind in its wake. There is so much that we can all do in an effort to win this war. Awareness is the best approach to win because it’s like shining a light into a room but instead, a light is being blasted on drugs. When one turns on a light in a room, there is no more darkness and that is exactly what awareness does. Awareness and education needs to be put out there in every platform possible and platforms like social media is a gold mine for raising drug awareness. People need to know about the adverse effects of opioid use, what to do in case of an overdose happens and about opioid addiction in general. People also need to know what to do if their friend is addicted to drugs and what signs and symptoms of drug abuse to look for. When taking medication, it’s important to keep a regular count of pills that are left. It’s also important to make sure that meds are locked up tight, even more so prescription pain pills because that is a leading opioid choice that many people are addicted to. Disposal of medicine that isn’t being used is important as well. Flushing them down the toilet results in contaminating the city’s water supply. Instead, many cities are setting up safe and secure drop-boxes for unused medication. Children become curious about medicine and could mistake them for pieces of candy. Teens will go looking through the medicine cabinet for prescription pain pills because they believe it’s safe to because it’s prescription medication. Many seniors end up taking more than five medications a day which means it’s highly important to lock those away where others can’t find them. Several large cities in the United States have designed supervised injection sites for drug users to consume heroin and other drugs while under the supervision of medical professionals. King County has several of these injection sites set-up and many counties in Washington had some too. Recently however, these injection sites have become controversial and counties like Snohomish has banned them while Pierce County is moving to ban them. King County believes that these sites, called CHELs (Community Health Engagement Locations) are helping with the opioid crisis. In fact, King County is set to open two more locations, one in Seattle and the other in a larger, more populated area. Addiction is a chronic, relapsing disease/disorder and is categorized as so because it changes the structure of the brain and the way it works. Addiction is similar to heart disease because it disrupts that normal pattern of a healthy functioning organ. People who do drugs do not start out knowing that they will become addicted. In fact, many people do drugs to blow off stress from daily life, to feel better, to have some fun or in some cases, to enhance their current performance (either at work or athletically). There is not a single factor that denotes whether or person will become addicted or not. Having said that, there are some risks that do increase some people’s chances such as genetics, influence from friends and family, peer pressure, early use of drugs, type of method used for administering drugs (some people love the way a needle feels), etc. Addiction generally starts during childhood or adolescence while the brain is continuing to develop. The brain is still developing the prefrontal cortex which controls emotions and desires. This is the same part of the brain that drugs like opioids interfere with. As children and teens, poor decisions are made because this part of the brain is still maturing. Introducing drugs during this phase of life can cause some long-lasting consequences. Drug addiction isn’t for everyone. In fact, there are people who can do drugs and stop with a snap of their fingers. Some people just are not prone to addiction. Others have to watch what they put in their body at all times because anything drug-related can cause an addiction. From over-the-counter meds like Aspirin to prescription pain meds like Vicodin. Initial Use– This is the first time any type of drug is used (recreational or prescription). Typically, there is no cause for concern based on initial use. Abuse- Abuse happens when a person refills a prescription that they know that they do not need or have continued using drugs outside an “experimental” exercise. Tolerance-This happens when the body starts to get used to the drugs and therefore, people may start to smoke, snort, inhale or inject more. Alternatively, people may start to take more prescription pain killers to get the same effect as before. Dependence-Now the body is used to the meds and taking them multiple times as day is a normal routine. Mind and body will start to have a hard time functioning without the meds if one stops taking them. Addiction- At this point, mind and body both agree that the drug(s) are necessary to function in everyday life and without them, withdrawal symptoms begin to occur. Relapse–Relapse comes after addiction. Once a person reaches out for help or does an at-home detox program to claim sobriety, they may choose to do drugs or drink again. This is a relapse, which occur in 40 to 60 percent of people who have been through addiction treatment. Thinking about drug rehabilitation can lead to anxious thoughts, some possible fears and most often, doubt. Education and awareness can help put some of that to rest. The first step in drug rehab is to get an assessment or sometimes called pre-intake. This is an evaluation period to make sure that there is an addiction problem, if the treatment facility is the right one to help and what treatment should be used. To do this, different questions have to be answered about a drug abuse and addiction. These questions are all standard. How much is taking at one time? Is alcohol also being used? What is the social environment like? Married? Single? Kids? Pets? These all help to give doctors, psychiatrists and the staff of the facility the answers they need to give the best diagnosis to a potential patient. After which, it is time for the intake. The intake step is very similar to the assessment except, there are more questions to answer, a physical exam will be completed and some lab tests are administered. This is all to help the staff at the facility get a better understanding of the patient they will be treating. Some blood tests and a urine test will be performed as well. Given that the doctor recommends the patient for the next step in the rehabilitation process, financial arrangements will be made at this time and a list of items that are not permitted in the facility will be given to the patient. Once these final touches have been completed, a patient is then sent to detoxification. If there are no drugs in the system, a doctor will usually recommend a patient for inpatient or outpatient treatment. However, detox is generally the very next step. Detox is meant to cleanse the body of all drugs and this is a very important part of the rehab process. The body can heal faster and more efficiently once there are no drugs left in the body. Typically, this takes 5-7 days. For opioid addiction, people will start to have withdrawal symptoms from detoxing about 6-12 hours (short-acting opioids) and 30 hours (for long-acting opioids) after their last dose. Symptoms will generally peak around the 72-hour mark. Sometimes the patient’s body becomes too overwhelmed by the symptoms and high blood pressure is a concern. There is always supervision during the detox process and vital signs are being checked as well. For patients who are having a hard time with detox, the doctor may decide to prescribe a medication to help alleviate the symptoms. Although, some of these medications, like Methadone are habit forming as well. Now that a patient’s body has been completely cleansed, it is time for the “work” part of the rehab process. No doubt, detoxing was a lot of physical work and no doubt, it is exhausting. However, inpatient and outpatient treatment is not physical work, this step is all about working on the mind. Distorted thinking is a large focus point that people with addiction have to work on so that they can function healthier and happier. Distorted thinking is when the mind convinces us that something is true, when it isn’t. In essence, addiction is brainwashing the mind. Inpatient treatment is a program called Residential Treatment Center (RTC) that implements a series of different therapy techniques to help patients identify the moment that addiction became part of their life. An addiction source can be great help when trying to understand addiction because it’s unique to every person. What works for one person isn’t always going to work for another person. RTC allows patients to get an understanding of their addiction while also offering the tools and techniques that will become necessary after a patient has left rehab. While this program averagely lasts for 28 days, there are programs that can last 30, 60 or even 90 days. For recurring patients who continue to relapse, doctors may recommend a longer stay such as 4-6 months. When a patient is released from RTC, they are free to go home to family and friends. However, there are circumstances where patients do not have anyone to return home to or all their old friends are drug addicts or alcoholics. For situations like this, patients can feel comfort in knowing that there are sober living houses available. Outpatient treatment comes into two different options. Generally, a patient is recommended for one straight out of rehab and then will be recommended for the second one after the first one is complete. Alternatively, some doctors may decide to allow patient to forgo RTC and head straight to Partial Hospitalization Program (PHP). PHP is program that takes places in a facility for 6 hours a day, 5-7 times a week. It focuses on helping a patient with coping skills that can be used to address trigger points that pop up which cause the desire to do drugs. Individual and group therapy are both focus points during PHP. The second type of outpatient treatment is called Intensive Outpatient Program (IOP). IOP takes place at the same facility or even a smaller one for 3 hours a day, 3 times a week. Group therapy is the main focus for this program so that patient is ready for their support group future. Now that a patient has undergone RTC, PHP and IOP, it’s time to integrate aftercare. Aftercare is largely focused on having a support system in a group of people and in oneself to stay on the right track to avoid relapse. This means signing up and attending support groups. These groups are filled with people who can empathize with everyone else in the room. Judging should not happen and if it does, there are many other groups available. Aftercare also means finding a sponsor who is available to help no matter what time of the night it is or what’s going on in their own life. Sponsors are available to make sure that relapse doesn’t happen. They cannot help what they do not know so it is important to reach out. Aftercare also means being a support system to oneself. This can be hard to do at first because RTC is very structured and flying alone during recovery can seem intimidating. However, there are ways to stay on track. It starts by learning a new hobby. Hobbies are fun and they keep one’s mind and body busy. They can be a great way to make sure relapse doesn’t happen. Eating right and taking vitamin supplements can also help to keep a person feeling great. Vitamin deficiencies can cause depression which can lead to drug use. So, it’s important to get those daily vitamins. There are other supplements that can help with mood too. Support groups, finding a hobby, eating healthy and taking vitamins is a great “just out of rehab” starter kit for a positive future. If you or someone you know has a drug addiction problem, take the steps necessary to get them the help that they need. It can save their life.